for the online risk and insurance community. 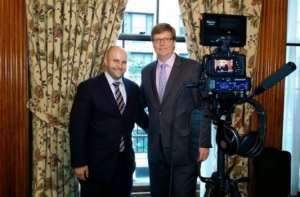 GRNN Consulting, GRNN Productions & World Risk and Insurance News (WRIN.tv). GRNN Consulting works closely with insurance industry executives to develop and execute custom marketing and communications strategies that focus on corporate goals and leverage all media to build and enhance a company’s brand and position. GRNN Productions provides a unique, informed approach to the creation of quality, compelling online video content for risk and insurance companies. GRNN Productions delivers “your message in your own voice”, through a medium preferred by “Next Generation” risk and insurance professionals. GRNN Productions can also work with clients to develop their own series of video programs… one that makes sense for their brand and budget. Investments in traditional news, analysis and thought leadership can be turned into Web-friendly video reports, customized to a client’s audience. GRNN Productions will work with event sponsors to create video news content that will create excitement onsite and long-lasting impressions online. GRNN Productions will edit Webinars into Web-friendly video reports that can stand alone or direct traffic to full-length presentations on the client’s website. Turn your latest news, information, press releases or media announcements into Web-ready video content. GRNN will produce video reports on breaking news, new intellectual capital or analysis. GRNN Productions will partner with organizations that have their own video production capabilities to optimize their investment through the production and distribution of quality video programming. GRNN Productions offers a variety of distribution channels to help share video content, drive traffic…and enhance a client’s image as a leader. GRNN will host video programs so they may be embedded on any internal or external website, including extranets used by customers and business partners. GRNN will distribute custom Email Alerts to target audiences. Clients may enhance their email distribution through a WRIN.tv Video News Alert to over 20,000 risk and insurance professionals. Video content may be featured on WRIN.tv’s new mobile app for viewing on handheld devices, tablets and cell phones. The first online video news network for the risk and insurance community. World Risk and Insurance News (WRIN.tv) produces and distributes news, information and analysis affecting the risk and insurance industry. WRIN.tv also provides unique advertising, promotional and distribution opportunities for online marketers. 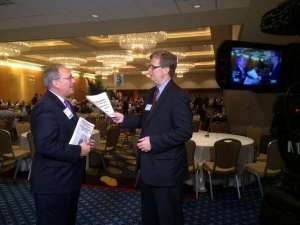 WRIN.tv delivers timely commentary on the latest news, information and trends. WRIN.tv conducts interviews with notable industry leaders and experts, academics, researchers, and publishers of intellectual capital. 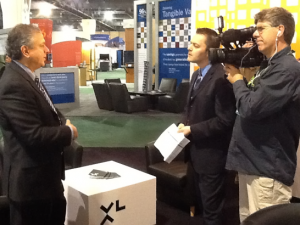 News coverage and interviews with executive attendees, speakers and subject matter experts from major industry events. WRIN.tv content is promoted through Video News Alerts sent to over 20,000 risk and insurance professionals. Customize an Email Alert to promote your message. Sponsored content attracts viewers and enables the gathering of information about those interested. Ask about special pricing on packages that combine advertising with custom Email marketing. Ask about our new network, UnionNews.tv, the online video platform for New York unions and their members. GRNN/WRIN.tv professionals are available to discuss these and other marketing and communications opportunities. Contact John Greene at John.Greene@WRIN.tv, or call 917-903-8995.